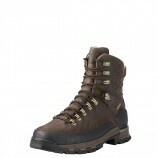 A stunning range of outdoor boots and shoes from some of the best brands in outdoor footwear. We stock premium quality brands such as Loakes shoes and brogues, Sowerby Chelsea boots, Toggi country boots, Musto shooting that give a luxurious country look and are built to such high standards that they will last and last. These are suitable for formal shooting days or even casual wear with jeans. 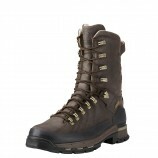 We have a good range of walking boots and high ankle lace up boots that are particularly popular for shooting. 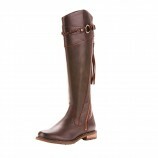 Many styles are waterproof, having a membrane between the leather outer and the lining. We also offer high boots (in a similar style to a wellington) made from premium leather or suede and again these usually have a waterproof membrane. These offer great practicality whilst giving a truly distinctive and striking look. To finish the range, we have a couple of styles of lace up waterproof rubber boots, including the Viking Dry Boot and the Grubb's Ptarmigan. 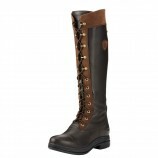 These combine the best features of a walking boot with those of a wellington.